When it comes to taking pictures with smartphones or tablets, however much you try art is something really difficult to get a satisfactory result, especially for those who know about the art of taking a good photograph. Obviously, for a good effect requires a quality team, but there is no reason not to achieve this purpose by software. It is for this reason that there are a lot of applications for smartphones and tablets responsible for giving effect to photos using filters and effects, and among the most famous is " Instagram ", although this does not mean it is the only that can be found. 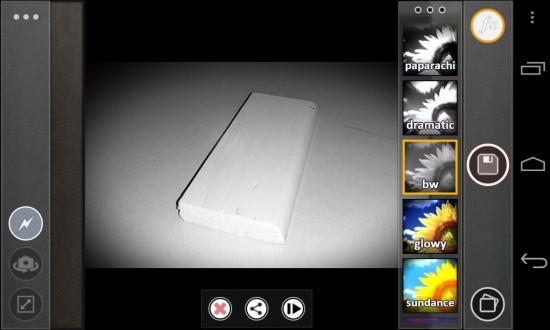 In addition to these effects, the application can emulate effects of other types of cameras, as Smena, LC-A, Holga, Zenit, even the style of a Super 8. It's clearly a fairly comprehensive photo application to be a not so popular, but the photography lovers can get good use. In case you want the application Cameringo, this is free to download from Google Play Store and is compatible with any device Android 2.2 or higher and having a camera.